Deficits in conceptual transfer on both implicit and explicit memory tests were obtained for memory-impaired temporal lobe epileptic (TLE) subjects in three studies. 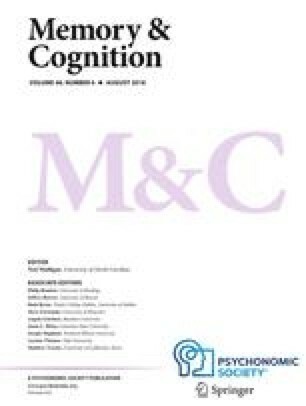 In Experiment 1, in which a generate-read paradigm was employed, memory-impaired TLEs failed to show normal generation effects on conceptually driven tests of semantic cued recall and general knowledge questions, although their data-driven memory as measured by word-fragment completion and graphemic cued recall tasks was normal. In Experiment 2, memory-impaired patients having left temporal lobe seizure foci were tested on these four tasks and compared with nonimpaired TLEs having right temporal foci. The left TLEs showed deficits on conceptually driven tasks and normal memory for data-driven tests. These findings were extended in Experiment 3, in which left TLE patients failed to show any benefit from blocked study, as compared with random study, on category production and semantic cued-recall tests, although right TLEs and normal controls showed blocking effects on both tasks. These findings may be accommodated by a processing framework of memory in which memory-impaired patients are characterized as having deficits in conceptual, but not in data-driven, processing capabilities.